We are in the Scottish Highlands because we traded our timeshare at Walt Disney World for a week at Hotel Craigendarroch in Ballater. Our place is a two-bedroom chalet with many amenities (including a sauna room). Too bad I hate intense heat! We are immersed in forest full of birds and bunnies. 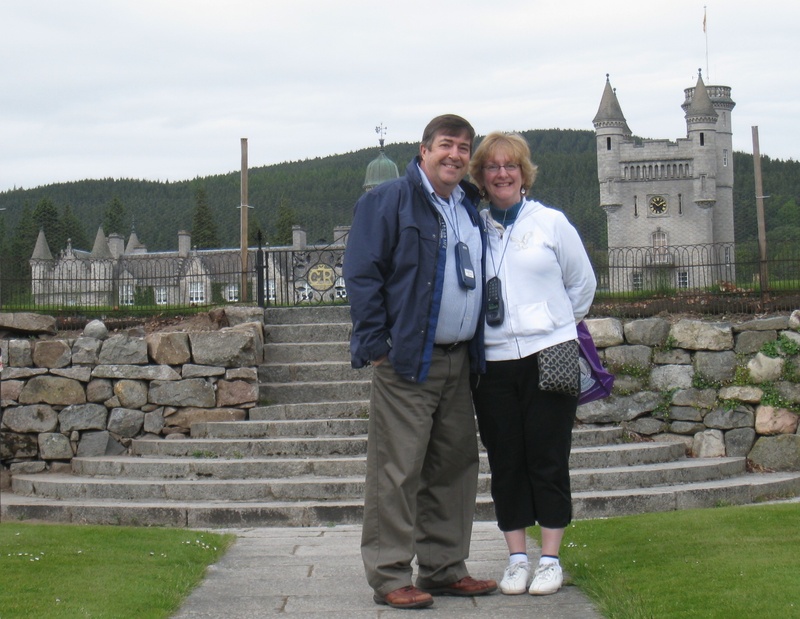 The town of Ballater is a small and quaint with everything you would need to be “on holiday.” We have enjoyed fresh strawberries and raspberries, strong cheddar cheese and wonderful hot tea. The weather has been quite good with only one day so far of rain. 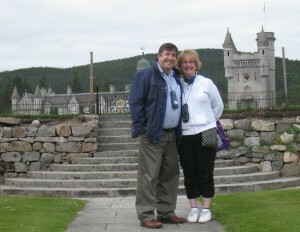 We are seven miles from the royal family’s summer home, Balmoral so that became our first outing. Tourists are welcome only when the queen in not in residence usually from April until July. Balmoral tries to be self-sufficient so you can wander the royal gardens, see their ponies, and learn the history of this peaceful summer retreat. Queen Victoria had the home built to enjoy the beauty as well as the privacy of the area. One of the things I dreaded after enjoying the culinary delights of Germany and Italy was the food but it has been a delightful surprise. We have eaten in small pubs and private dining rooms but all of our meals have been yummy. Scottish food is mostly meat and vegetables but prepared with locally reared beef and fish as well as fresh grown vegetables. This makes all the difference in taste. A word to the wise – a pickle is some concoction that resembles baked beans without the beans. If you want a cucumber pickle, ask for a gherkin.